Luffy has a pretty prominent scar under his Eye. Its been a long time since I started watching One Piece, and I seem to recall that he stabbed himself to have Shanks take him onboard as a pirate. Recently, though I started rewatching the series (Oh... The nostalgia!!) but there was no such scene in the flashback. When and how did he get the scar under his eye? He did get it the way you described. In Chapter One of the Manga he stab himself with a dagger in the eye to prove himself. It's the same story in the anime. Although as noted in the comments from Bálint its missing from every anime series except in the TV special titled "Episode of Luffy"
Did Luffy kill Bellamy when he punched him at Jaya? 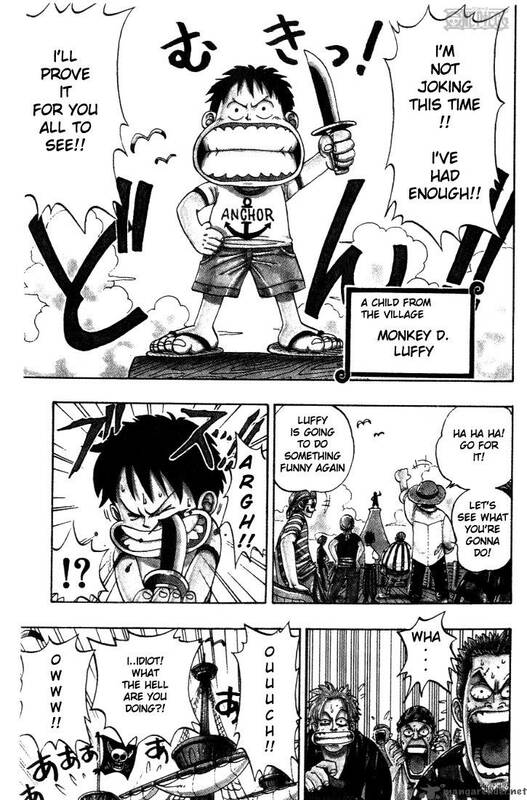 When did Luffy meet his father again in person?